The heritage of Just 4 Kids Salon is a brief one, however that should in no way diminish its importance. When Just 4 Kids first opened their doors on September 3, 2013, they did something very special. They created a market. 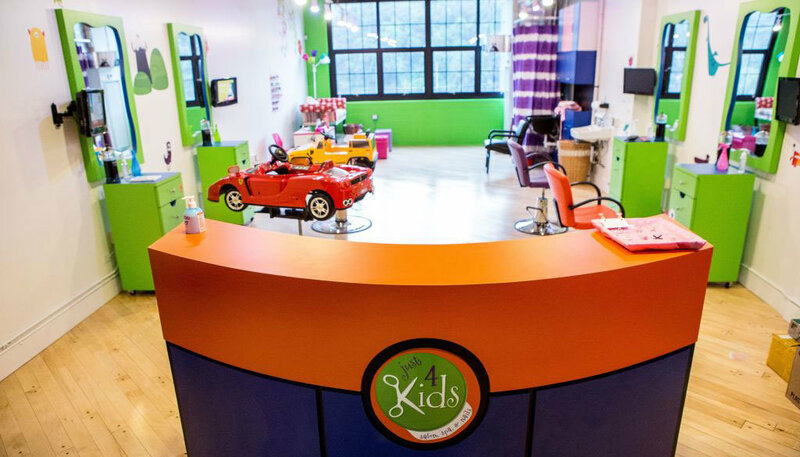 Never before did Hoboken, New Jersey have a comprehensive kids salon, kids day spa and children’s birthday boutique, just for kids. This historic day “changed the game,” because it created the kids’ beauty industry in Hudson County. Prior to that, local parents had to rely on traditional adult hair salons and spas for their children. This did not work very well. Why? Because kids’ haircuts can be scary and stressful experiences. Traditional adult hair cutting facilities are simply not equipped to nurture young and sensitive children. Previously, young families were forced to endure frightful trips to the salon. Further, they had to endure painful experiences of finding a parking space! Also, the tearful, uncomfortable haircut itself, and the overall ruined day or weekend for all! Just 4 Kids Salon solved this problem by offering child-friendly cars, TV’s and a free parking lot! Come by and see the Just 4 Kids difference for yourself! 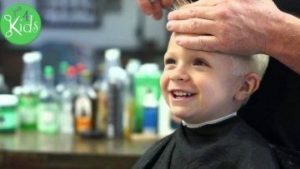 How are kid’s haircuts different than adult haircuts? Our goal is to be the paragon of children’s salon products and spa services. We provide unprecedented levels of customer service, resulting in the ultimate family salon experience. 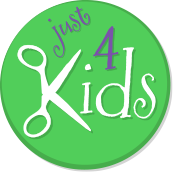 Just 4 Kids Salon not only specializes in fun and fear-free haircuts, but also boasts the most comprehensive day spa and birthday party menu in New Jersey. We’re confident that you will find our upscale facilities immaculately clean and friendly, so come on by and learn all about us by stopping in for a tour! Be a part of Just 4 Kids’ Heritage and join our family – Call to get more information, or Book an Appointment Online today! Thanks for checking out our social media platforms! Call Today at (201) 653-KUTS (5887) to Book an Appointment. Or, book an appointment on our website by clicking “Book an Appointment”.